После полуночи 27 января 2019 года во Внуково на взлёте отказала электроника у Боинга авиакомпании "Ютэйр" . Пишут, что он взлетел и вернулся, но на Флайтрадаре не видно этого. Скорее всего он забарахлил ещё на рулении . 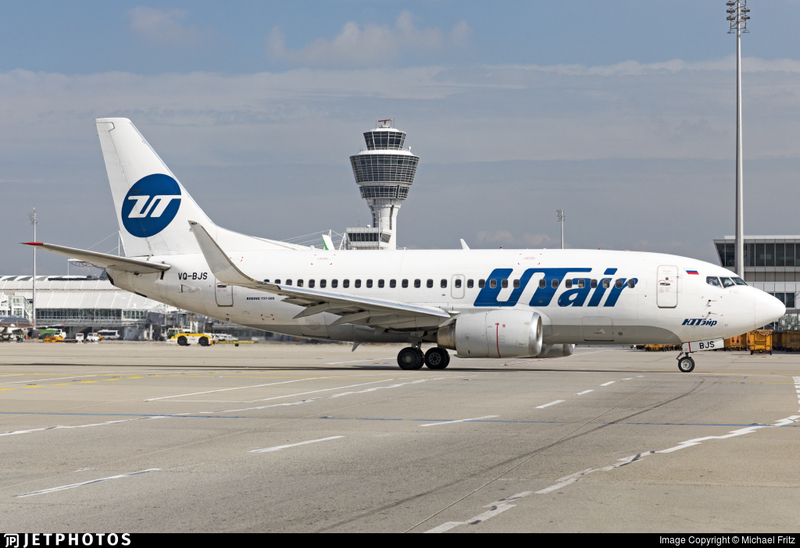 A UTAir Boeing 737-500, registration VQ-BJS performing flight UT-355 from Moscow Vnukovo to Grozny (Russia), was in the initial climb out of Vnukovo at about 02:26L (23:26Z Jan 26th) when the aircraft suffered electrical problems taking out the left hand instruments, the transponder and associated systems. The crew returned to Vnukovo for a safe landing at 03:11L. 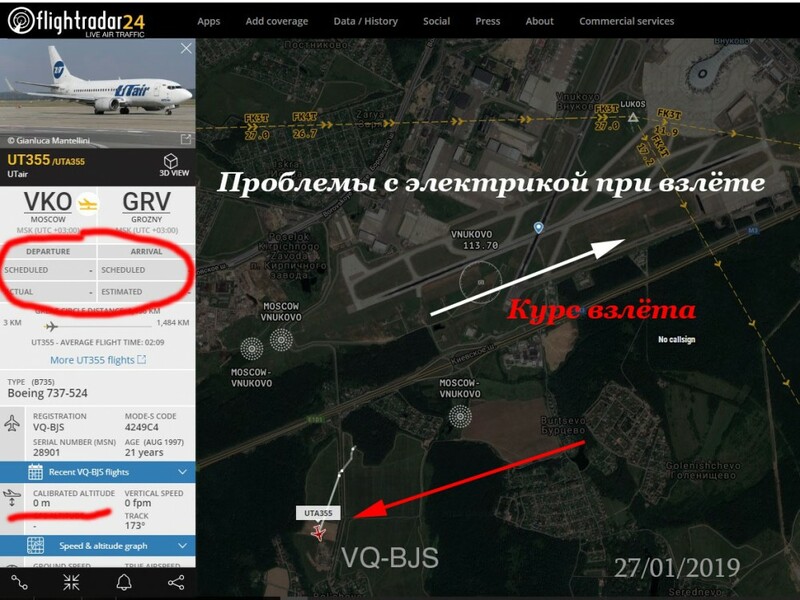 A replacement Boeing 737-500 registration VQ-BJV reached Grozny with a delay of 3:15 hours.